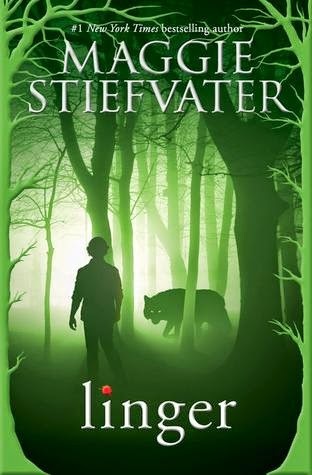 Linger (The Wolves of Mercy Falls #2) by Maggie Stiefvater is available at Amazon, BooksAMillion, and Barnes and Noble. The astonishing #1 New York Times bestselling novel! Once Grace and Sam have found each other, they know they must fight to stay together. For Sam, this means a reckoning with his werewolf past. For Grace, it means facing a future that is less and less certain. Into their world comes a new wolf named Cole, whose past is full of hurt and danger. He is wrestling with his own demons, embracing the life of a wolf while denying the ties of a human. For Grace, Sam, and Cole, life is a constant struggle between two forces--wolf and human--with love baring its two sides as well. It is harrowing and euphoric, freeing and entrapping, enticing and alarming. As their world falls apart, love is what lingers. But will it be enough? I received a free copy of this book from GoodReads First Reads in exchange for a review. The series had been on my to-read list since the first book was published; I took this as an opportunity to cross a series-item off my list. Stiefvater continues with the lovely writing. That's her strong point. She captures voice and delivers details beautifully. But the same lack of plot that plagued the first book continues in the second book. At least Stiefvater admits, this is just a love story. From my perspective, it's not a very realistic one. I would read this with kids to illustrate what love is not: "Young lady, this kind of love is about as real as the werewolves featured in this book." Some new characters are pulled into the story, Isabelle and Cole, so now there's four points of view with Sam and Grace. Again, Stiefvater tackles the different points of view wonderfully but the only plot shaping up is another love angle. Granted, it is taking longer for this relationship to form but I know what's happening by the addition of only Isabelle and Cole when there's so many other people around. Like Paul, met in the first book, and Victor, a new character who arrives with Cole. Like Grace's friend Olivia, always in the background, obviously up to something but I have no idea what until the end of the book when Grace is told that Olivia's been doing something interesting but the details regarding who, what, when, where, how, and why aren't there because Olivia was always in the background. Hoping Grace and I are clued in with the third book. There's no terror or mystery in this story and the drama comes from Grace rebelling against her parents who suddenly start acting like the parental figures they're supposed to be. No one in this book acts real and I find it difficult to relate to the characters. It's like a daytime soap opera - and maybe that's your thing but I never got into those shows. I would recommend this series for people who watched those shows religiously and, upset over their slow demise, are looking for a fix.